The scene at Lake Como. Showing an eye for landscape and colour, jetsetting fashion snapper Akila Berjaoui’s soft n’ sensual photography evokes a carefree time of long summer days infused with lashings of Ambre Solaire. The scenes of bronzed limbs lazing in hazy sunshine are shot with a faded, heady atmosphere that recalls beach life in the 60s, 70s and 80s, yet with a distinct Sydney influence. 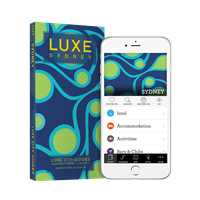 Bondi resident Akila chats to Lumira X LUXE about her favourite haunts in the Med, and closer to home. I start every day with meditation. I then jog along the coastline or wherever I can depending on which city I’m in. I then check my emails and Instagram. A bad habit but I can’t help myself. Breakfast is next, then I get stuck into it. It’s either a day of emailing and prepping shoots or editing shoots and shooting. 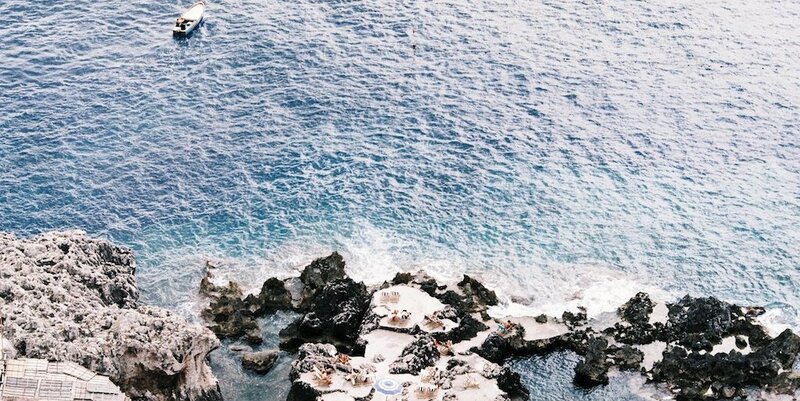 Or if I’m lucky, I’m somewhere in the Mediterranean with friends, soaking up the sun with my film camera in hand. Claude Nori, Mario Testino, Slim Aarons, Reni Ellis, Juergen Teller to name a few. You travel to Europe frequently, can you share a few top tips? I love Capri Palace Hotel and La Fontalina for drinks. Also great to eat and swim down at Marina Piccola. 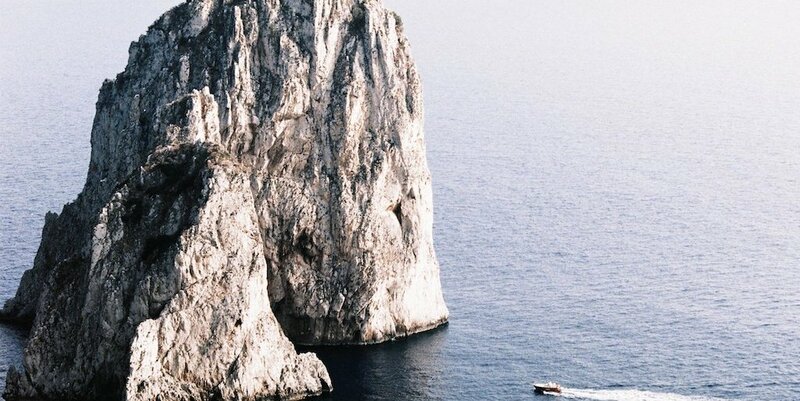 The best thing to do in Capri is to hire a boat and float out to sea – you get the best view of Capri from there. 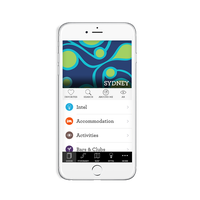 A few of my favourite places to stay at are Chic & Basic Born, Soho House (good for drinks too), Andante Hotel, and Casa Bonay. For food, Cal Pep is very traditional, has delicious tapas and is very cool. Mosquito is a must for the best Asian dumplings ever. I love Hotel Santa Caterina in Amalfi. Hands down the most amazing accommodation and pool I have ever had the luxury of staying in! Closer to home, what are you favourite haunts in Bondi? Da Orazio for knockout, unbeatable pizzas, A Tavola for insane tagliatelle pasta and Gertrude & Alice (a book shop cafe on Hall St) I love it there. I prefer the northern and southern ends of Bondi to live in. But for visitors, Bondi Beach House is beautifully styled and feels a little like home. Bondi Beach. There’s so much space to breathe and do in Bondi. Swimming at Icebergs, shopping on Gould Street and having breakfast, lunch, and dinner at different restaurants sprinkled through the streets. All images courtesy of Akila Berjaoui.